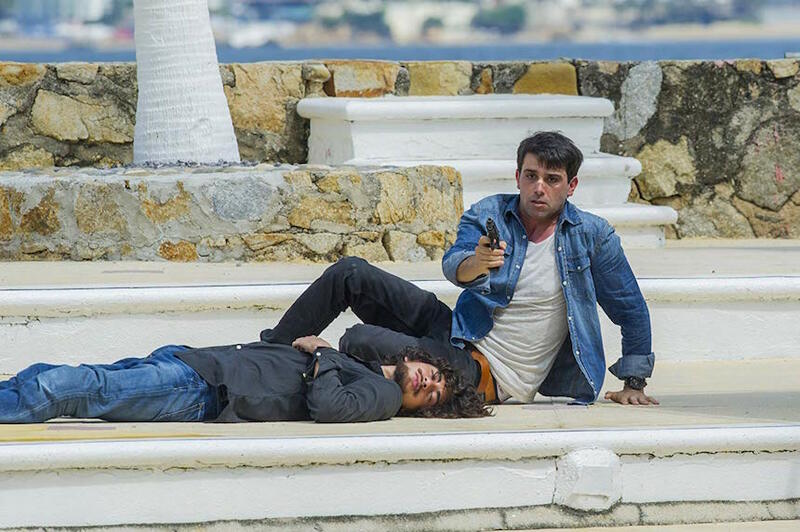 How in the hell did American video game designer Matt Booth (Michael Kingsbaker) end up in Acapulco, Mexico, being chased by several extremely dangerous characters? That’s the big question Guillermo Iván's action comedy Welcome to Acapulco seeks to answer, going back to the day Booth got drunk at a New York airport and, instead of heading to New Mexico to introduce his latest video game, woke up when he was already on a plane flying to the famous beach and resort town of Acapulco. Once in Mexico, Booth learns that he has a mysterious “package” that is wanted by pretty much everybody, from the CIA to former agents to merciless bounty hunters to corrupt politicians. 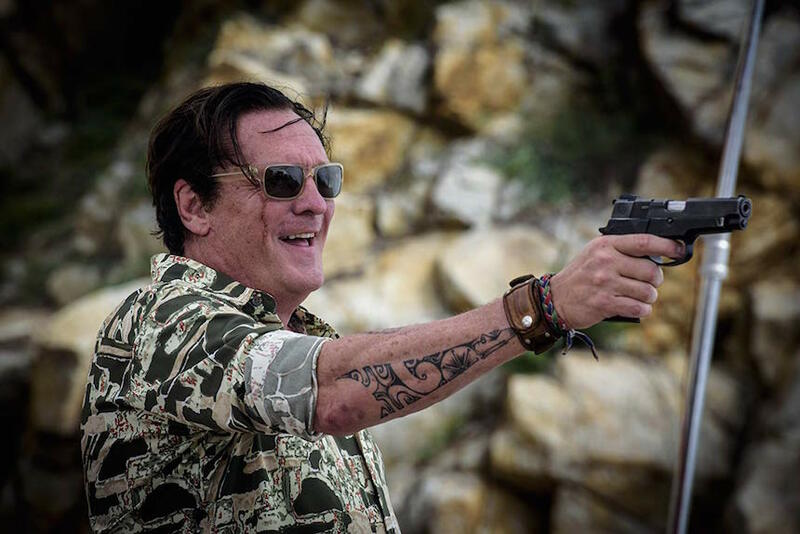 With the help of his eventual love interest Adriana (Ana Serradilla), a skilled CIA agent, Booth will fight for his life in a midst of confusion, car and foot chases, bullets and the non-stop appearance of menacing persons (some played by such well-known stars as Michael Madsen and Paul Sorvino). Sometimes echoing the visual style of video games (from shooters to fighting games), Welcome to Acapulco is also full of humorous moments as Booth functions as a narrator offering constant meta-commentary. ScreenAnarchy: WELCOME TO ACAPULCO is a movie with many elements: action, adventure, comedy, intrigue and romance. When reading the script, what was the thing that attracted you the most of this cinematic cocktail? 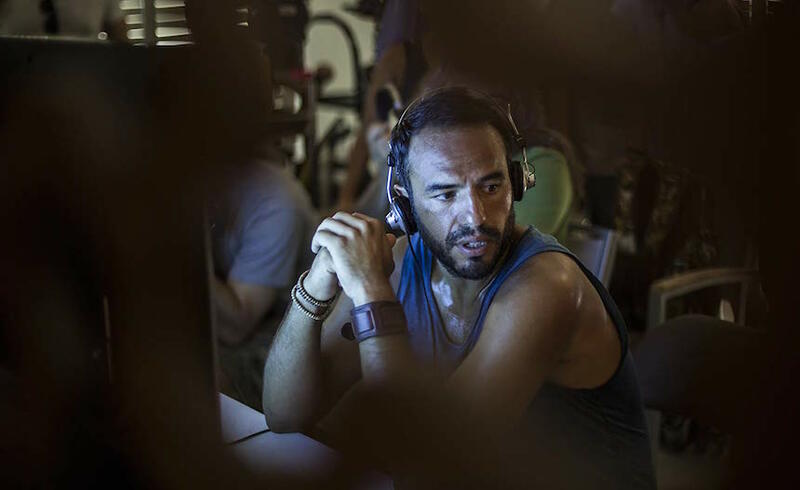 Guillermo Iván: I loved that combination of comedy with action. I was also interested in how to keep a character out of his context. Matt Booth is a video game designer who’s completely away from any dangerous situation in his life, he obviously works from 9 to 5 in the office, he has to deliver his designs, he does everything through a computer, lives in a virtual reality, assumes his entire universe as if it was a video game and has a very specific mental perception. At the moment when, due to this great confusion in which he finds himself involved, he ends up being persecuted by all these groups and has to literally fight to save his life, it becomes very interesting, because he also continues to see the world as if it was a video game. That appealed to me a lot about the structure of the script, how to keep these two tones combined, how to make the context dangerous, full of action, intrigue, of all these situations and characters that look for something very specific, which is the information traffic; and a character who lives completely away from all this, a character that by the circumstances is involved in this element. In that juxtaposition of an average Joe in a criminal world, and also when you bring in comedy and meta-fiction, what was the challenge to balance the tones? Making an entertaining movie, because it's still a commercial genre and has to fulfill the function of entertaining the audience. That was the challenge and also it was to use an antihero, because at the end of the day, Matt Booth is not Jason Bourne, he’s not the typical hero but quite the opposite: he's an ordinary guy. I also liked the character of Ana Serradilla, Adriana, a woman who ends up being a heroine, protecting this other character. I was interested in their evolution and in their context. I think it was quite successful. Mike Kingsbaker did a great job in that sense because, ultimately, his character ends up making decisions. There’s an arc there, because at the beginning he’s a very obedient character who says yes to everything, who is escaping, but once he finds out what's happening, he ends up deciding where to live, how to live and what the plan is; the one who decides the final plan is him. I liked that evolution very much. From the first sequence, one of the most flashy elements is the protagonist’s narration and this meta-fiction. How fun was it to play with the conventions of action movies? It was very funny. It was a high risk too, because I also think that it's not so common to play with this meta-fiction, with this combination of video game graphics. But we decided to take and follow that path, that not so conventional convention. The viewer will see something different in that sense. There are many visual references to video games. Besides this, did other action movies or comedies influence you? There were many referents but rather we concentrated on this anecdote. I confess that I'm not a video game expert, at all, in fact I'm bad at playing them, it's not that I like them that much, I prefer to play soccer! I've been asked about the large number of characters that appear in this film, for example, and that was a reference to video games; when you play a video game there’s bad guys everywhere and to win you have to rise above the obstacles. So we wanted to make an allusion to that, in this meta-fiction of the main character in which he’s living his own video game, then these bad guys come out and he has to overcome the obstacles. That seemed very interesting to me. You also play one of these characters who are following the protagonist. What's the greatest challenge when acting and directing at the same time? Look, there are many difficulties; honestly, it's not easy. 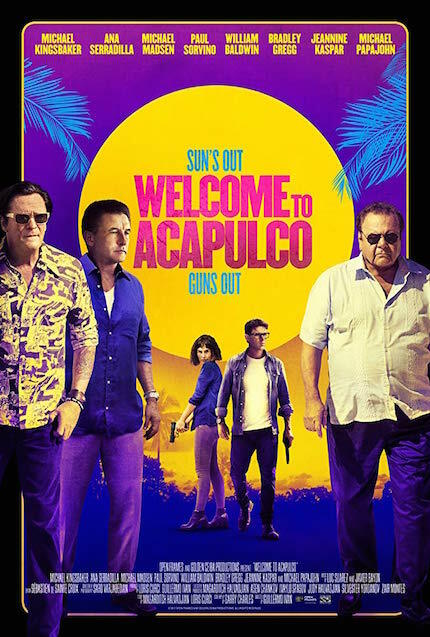 However, when we did Welcome to Acapulco, I had already the experience of doing it several other times, although not with the production level of this film. It's always a team effort, and having a team as wonderful as the one of Welcome to Acapulco, a team I've had the fortune to work with in other films, makes it much easier. If your pre-production is solid, if your team is solid, if everyone is watching the same movie, then when you have to act and direct the only thing you have to do, when you are on the set, is putting the project in their hands. You know that the whole team is seeing the same and that if there’s something to correct, they’ll tell you because we already planned everything, and we all saw what we wanted from our imagination. It's about having the ability to separate moments, saying “I'm now a director, now I’m an actor", and to put your work in the hands of someone else; in this case, the DP and the 1st AD were watching the monitor and if they saw something, they would tell me because we had already rehearsed it before and we knew what we were looking for. It all becomes more organic. 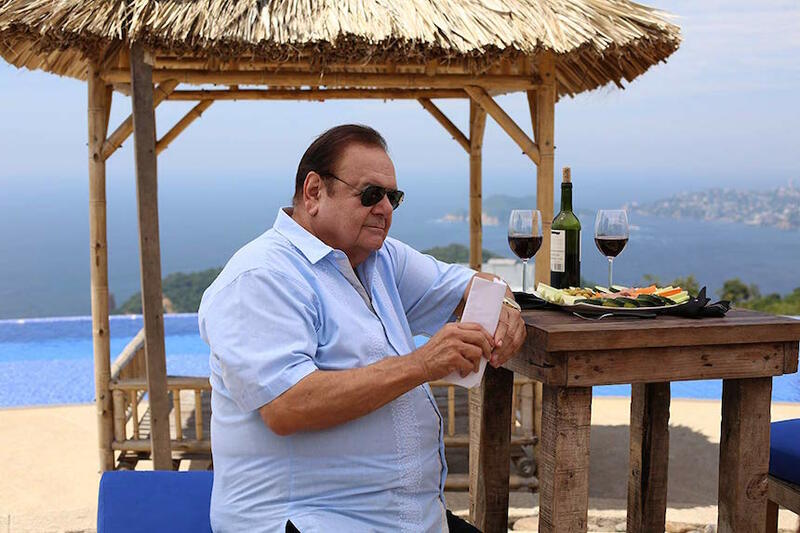 Speaking of the cast, what was the most valuable aspect of working with legends like Michael Madsen and Paul Sorvino? It was amazing, it was a wonderful learning process and a great honor. At the end of the day, when you work with another actor, that actor puts his work in your hands in some way and there’s a level of confidence. So having the confidence of people I admire a lot, like Michael Madsen and Paul Sorvino, and also sharing the set with them as a director and actor, is a wonderful lesson. I enjoyed it immensely. Finally, the obligatory question, how was filming in the city of Acapulco, Mexico? For all of us it was wonderful, we had an amazing time, we never felt bad or insecure, but just the opposite. We felt very sheltered and protected by the people. I do believe that the most beautiful thing Acapulco has is its people. It was a lot of fun and it was the best context to work. If you ask me if I would do it again, I would do it seven times more!